Everything has a lifespan, meaning every thing—no matter how high its quality is, or how expensive it was when you bought it. Every single thing deteriorates—regardless of its shape or size, especially if you use it too often. Everything is destined to break apart, stop functioning, and be trashed—including your car. While you may have been using it for the last couple of years, but it is not a guarantee that it will last forever. In fact, cars aren’t meant to live forever. Every vehicle will eventually give out. The trick is to spot the signs you should retire your old car before you’re forced to do so, this way, you can still make something out of nothing. Many car owners who want to upgrade, dispose their old car, or may just want to clear up some space in the garage. Whatever your reason may be, getting rid of your old vehicle should follow a process so that you can reap its benefits and lessen the hassle for you and everyone else. 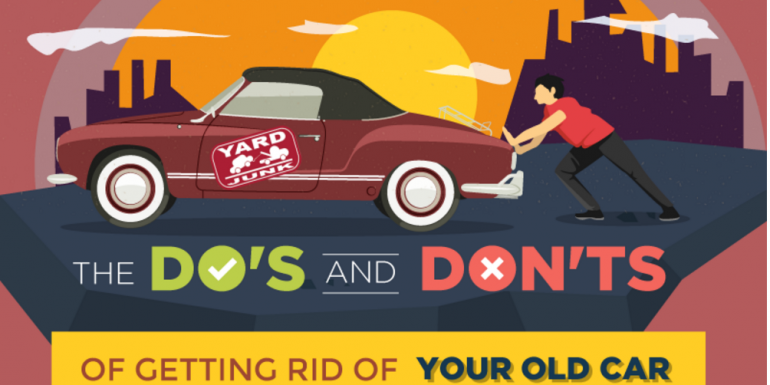 This infographic will shed some light on the different unspoken rules of selling or junking your retired vehicle. Make sure to check this out before contacting a junk yard, or listing it as a second hand car.